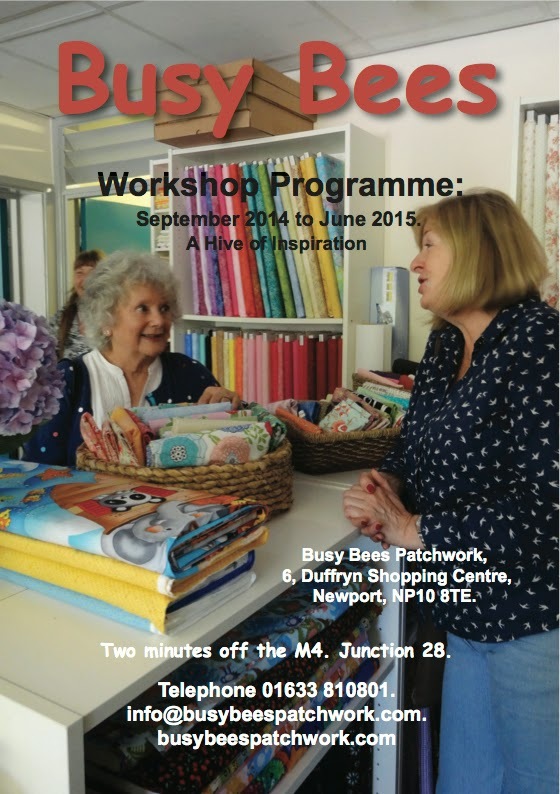 The New Busy Bees Workshop Programme is printed and ready to go for tomorrows launch, Saturday 26th July. Over 60 workshops and courses for you to enjoy, including workshops with Sally Brockbank, Gillian Travis and a big name from the U.S.A. The doors of Duffryn Community Centre will open at 10am. Pick up a programme and book your classes and see the new shop. Tell your friends and make the return of Busy Bees Patchwork a very special day.